This installment of Tech Tracker looks at a cashless Australian restaurant that uses conveyor belts to deliver food. There’s hardly any human interaction, which owner Jacob Beye calls the future of restaurants. Washington state native Jacob Beye went to Australia to study business marketing at the University of Newcastle in 2008. About 10 years later, he opened a fast-casual build-your-own bowl and burrito concept in New South Wales. The catch: it has no front of the house employees. He called the kiosk-only cashless restaurant, which is based on his academic market research, Hey Zeus. Having proven the menu, which serves its entrées with either quinoa or brown rice. Now Beye is headed back home to Spokane, Wash. He is opening his first U.S. Hey Zeus by the end of this year. The restaurant will be identical to the one in Australia, serving healthy bowls and wraps that are customized by diners entering their orders from kiosks with no staff out front for guidance. He says this is the future of dining. 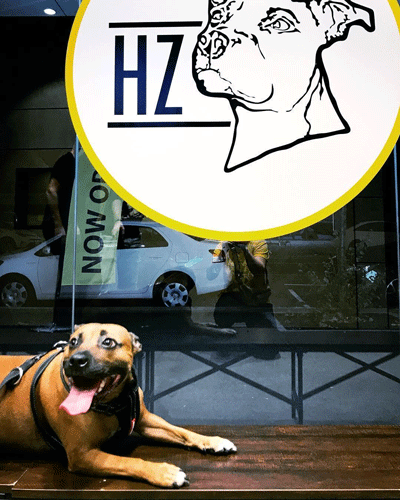 Hey Zeus, the name of the store’s canine mascot, is part of a growing number of emerging brands that are relying on technology to save on labor. During a lunch rush, Hey Zeus needs three people in the back of the house, Beye said. The automation allows the restaurant to serve up to 150 meals an hour. The university town restaurant caters to a younger demographic, who “love the idea” of automation, he said. Meals are delivered on a conveyor belt, similar to how conveyor belt sushi houses operate. The customer’s I.D. is listed on a ticket. 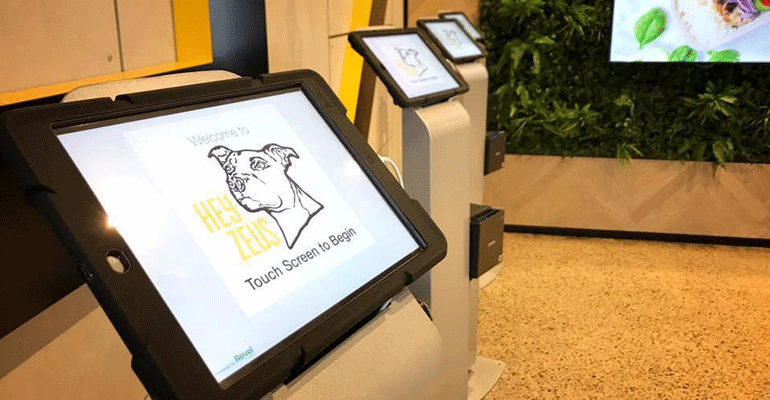 Zeus’ touch screen kiosk keyboard, powered by Revel Systems, includes emojis. So some diners have been known to playfully use emojis as their name on orders, he said. “It’s one of the few things we retained that has a human element to it,” Beye said.